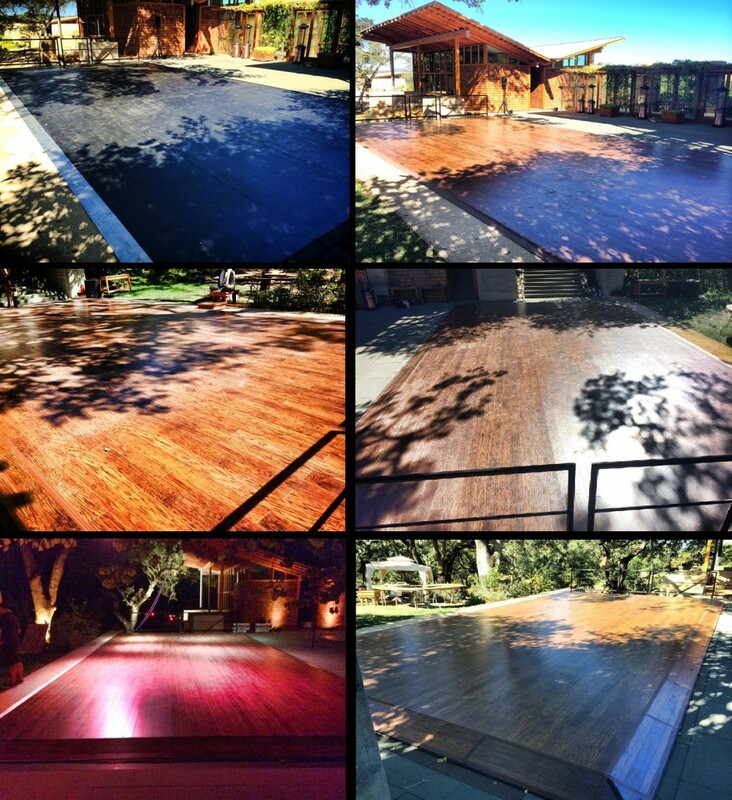 Laminate hardwood flooring stages for rental by Stage CMDR, Inc. Stage CMDR is the only specialty staging company that will temporary install any laminate or hard wood flooring that you will find at any local home improvement retail store such as Home Depot or Lowes. If you are looking for a stage over a pool or a sub-floor stage for dinner seating, Stage CMDR can make your vision come to fruition. All you will need to do is pick out a couple samples and Stage CMDR will install the flooring, build your preferred stage of choice at any size, any height and over any type of terrain. 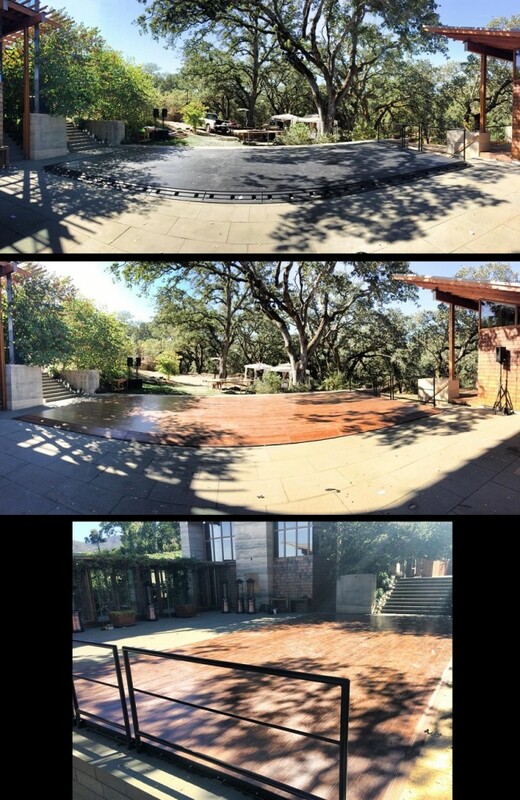 Showcased below are a few photographs that show before the flooring was installed over the stage and after the flooring was installed over the stage. 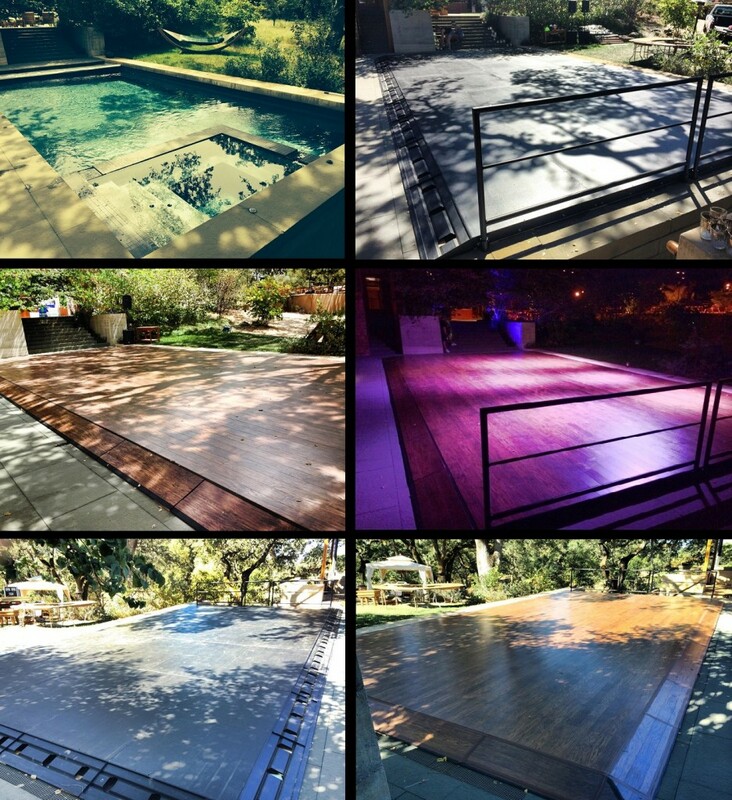 A 40×20 stage over a pool with custom engineered and manufactured transition ramps with bamboo scraped laminate flooring installed over the stage and in the ramps that the client picked out.